Can you claim compensation for a neck injury? Often referred to as a musculoskeletal disorder, neck injuries are fairly commonplace whether from a workplace accident, a car accident or even from simple slips, trips and falls. Due to the delicate nature of the neck area this type of injury can be extremely serious and lead to significant compensation payments. If you believe that your neck injury was a consequence of negligence by one or more third parties then you could be entitled to claim neck injury compensation. In medical terms a neck injury can relate to damage to the spine, bones, cartilage, ligaments, tendons or surrounding muscles. Neck injuries where mobility may be restricted in the short, medium and long-term might also lead to an array of psychological injuries in the shape of anxiety and depression. Any compensation awarded for neck injuries will take in the expected recovery period, restrictions of mobility and long-term prognosis. This level of neck injury tends to take in the likes of muscle, soft tissue, ligaments and tendons where a full recovery is expected. That is not to say they will not be painful but any pain in the neck should be relatively short lived. Reduced mobility, prolapsed discs, long-term neck pain and cervical spondylosis often fall under the guise of moderate neck injuries. The recovery period for such injuries can be in excess of two years and any compensation award would take this into account. Paraplegia, quadriplegia and various other forms of paralysis often lead to the highest levels of compensation. The debilitating impact of such injuries is quite literally life changing. Claims for negligence during neck surgery. Whiplash has historically attracted the most number of compensation claims although a tightening of regulations by the government is addressing fraudulent activity in this area. The new regulations still ensure that those with valid whiplash compensation claims are able to pursue them in the courts but those filing borderline/ fraudulent claims may be prompted to think again. Those deemed to be relatively minor neck injuries, where a full recovery is expected within three months, could see a compensation amount of up to £1,950. Where the recovery period is extended to between three months and one year, and the neck injury has potentially exacerbated an existing condition, average compensation is from £1,950 up to £3,470. Neck injuries with a recovery period of up to 2 years which include the exacerbation of existing conditions can expect compensation from £3,470 up to £6,290. Moderate neck injuries can include fractures, dislocations, spinal injuries, soft tissue damage and have a marked impact upon the person’s standard of living. Where the recovery period is no more than five years, although there will be a form of long-term damage, a compensation settlement could see £6,290 up to £10,960. 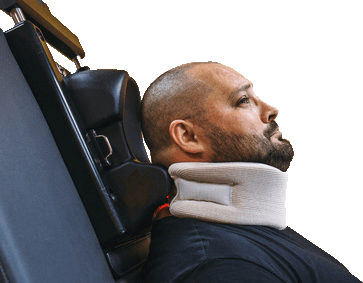 Soft tissue damage of the neck which results in a significant limitation of mobility, long-term pain and extreme discomfort, with a recovery period in excess of five years, has historically paid out compensation from £10,960 up to £19,920. Dislocations, spinal fusion, chronic long-term pain, significantly reduced mobility and an inability to carry out common daily actions will attract the most compensation in the moderate range. This can vary from £19,920 up to £30,690. Severe injuries which may take in serious fractures/ dislocations as well as soft tissue damage, leading to chronic long-term pain and mark disability will attract compensation from £36,240 up to £44,630. More serious neck injuries involving fractures/ damage to back discs leading to a high level of disability and long-term pain/ headaches will attract compensation between £52,390 and £104,370. The most serious neck injuries resulting in varying degrees of paralysis, long-term pain and suffering and reduced independence often attract compensation of around £118,240. Medical records will also help determine the type of injuries received and treatment required. Our solicitors have many years experience across a broad range of different compensation claims including neck injuries. If you’d like to contact us a solicitor will review details of your claim and supporting evidence you might have thus far. There is no obligation to choose us but if a solicitor advises filing a neck injury claim you will be offered a No Win No Fee arrangement. Your claim will be processed with no upfront charges, the only time you will be required to pay anything is when your claim is won. The amount you would pay on a successful outcome would be a set percentage of the neck injury compensation and the percentage would be agreed prior to signing.